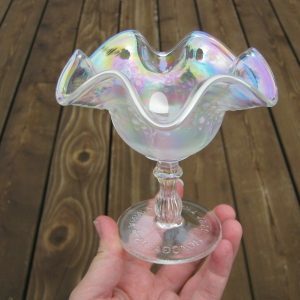 This is a MOON & STAR whimsied Spittoon made from the Spooner. 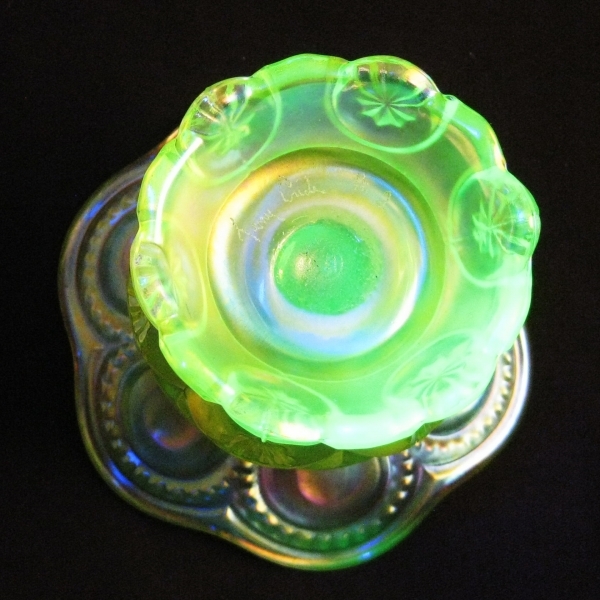 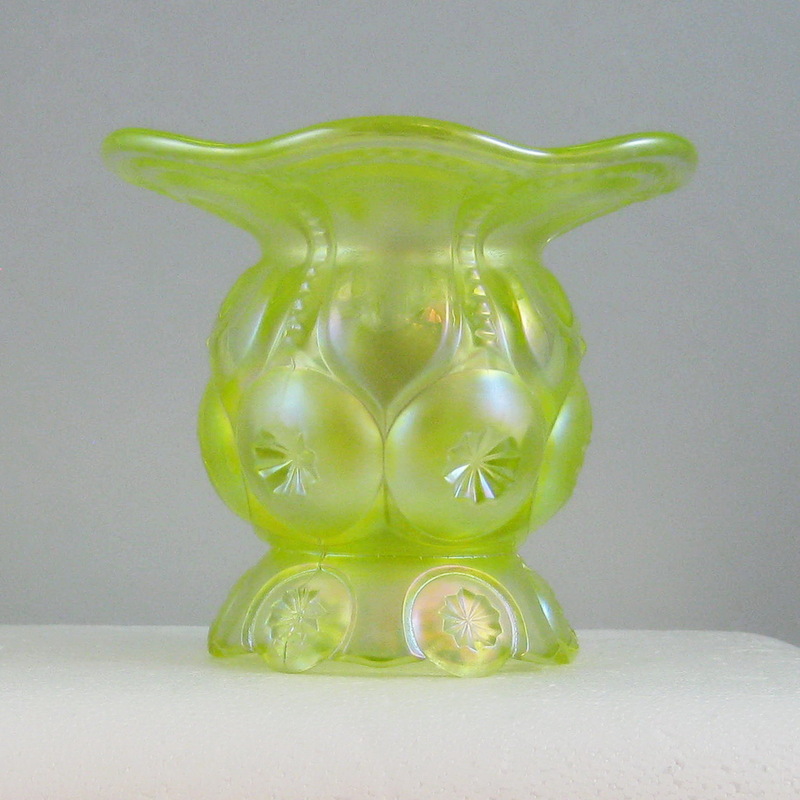 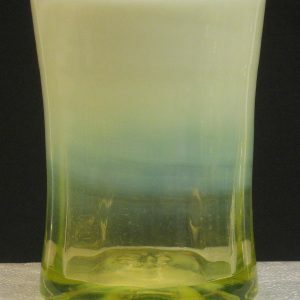 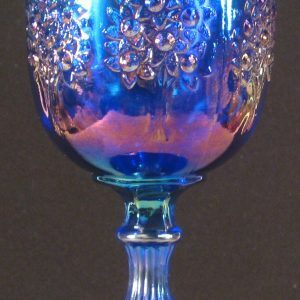 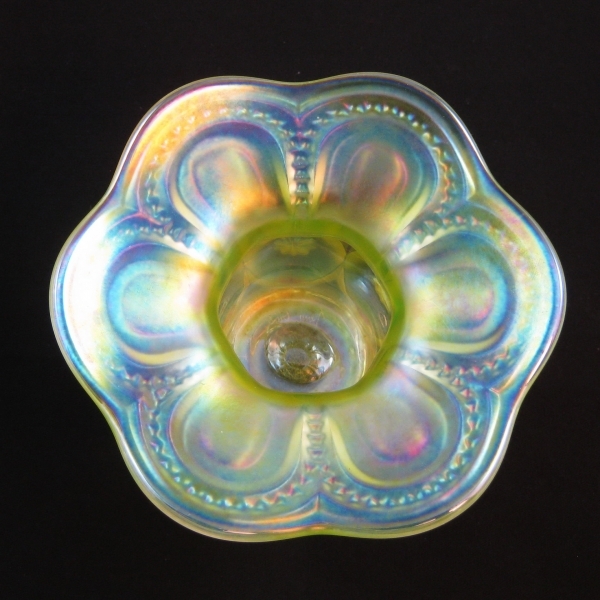 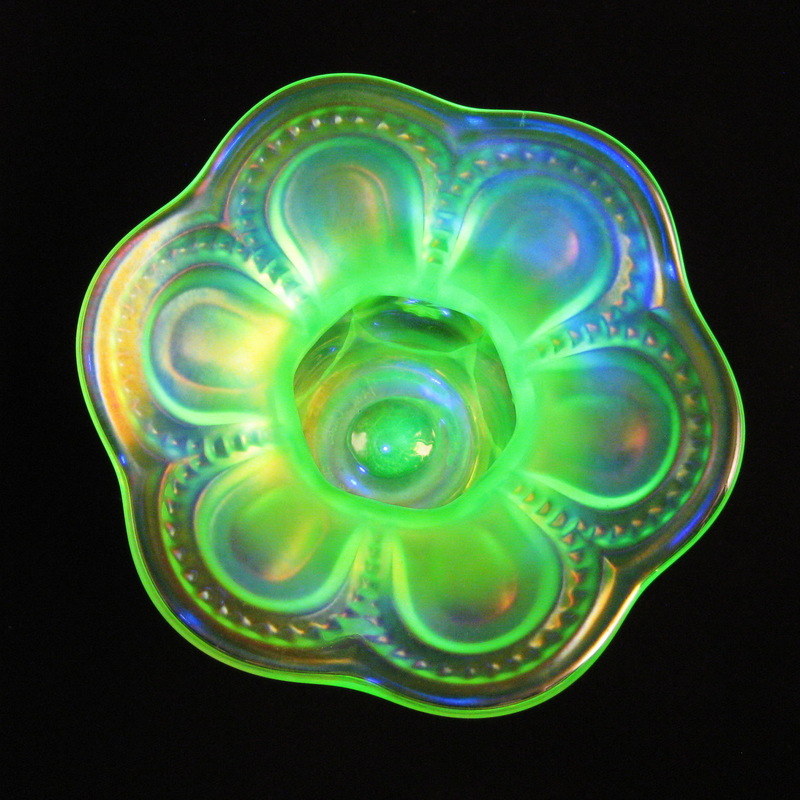 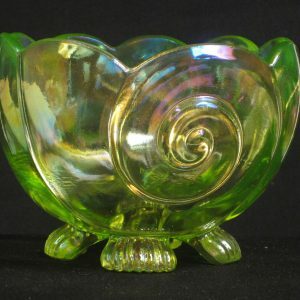 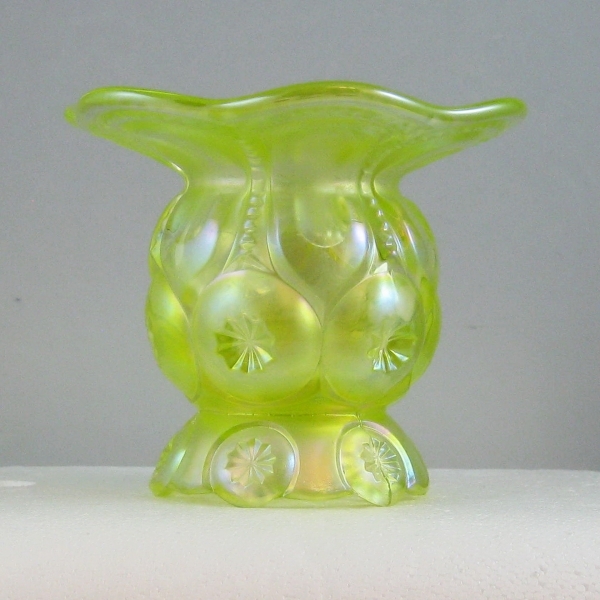 This is Yellow Vaseline glass that features many subtle iridescent colors. 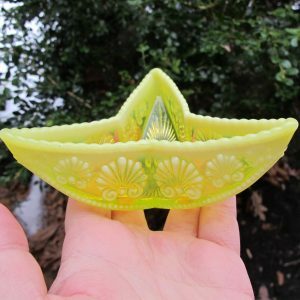 This is a colorful item. 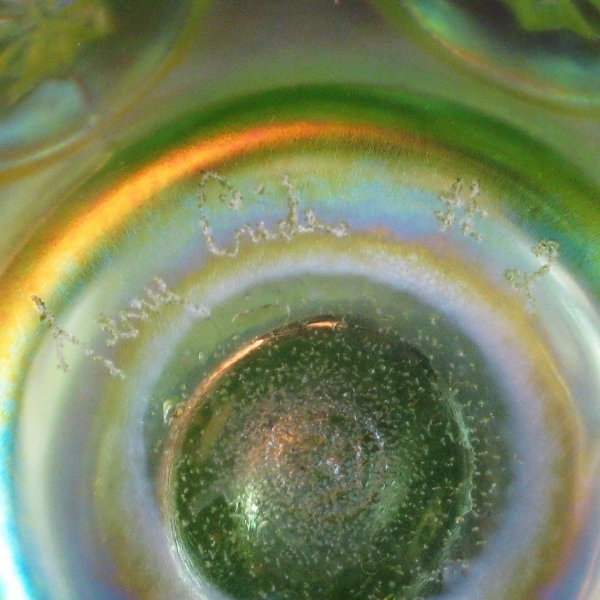 Signed Terry Crider #2. 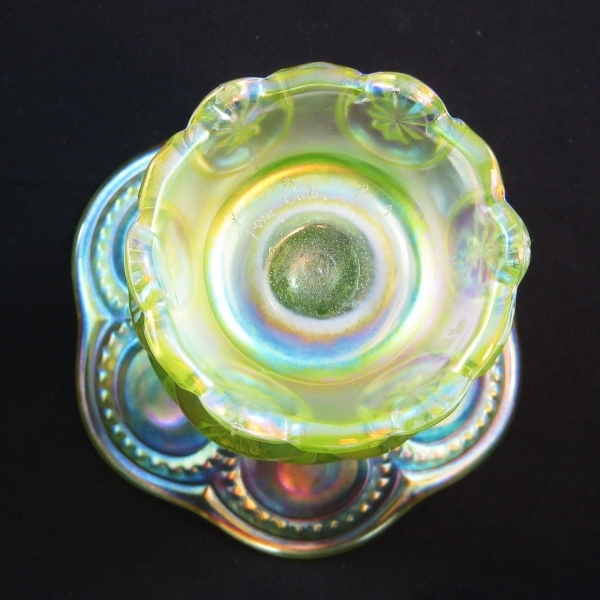 Many of these Crider items are very limited; some are one of one. 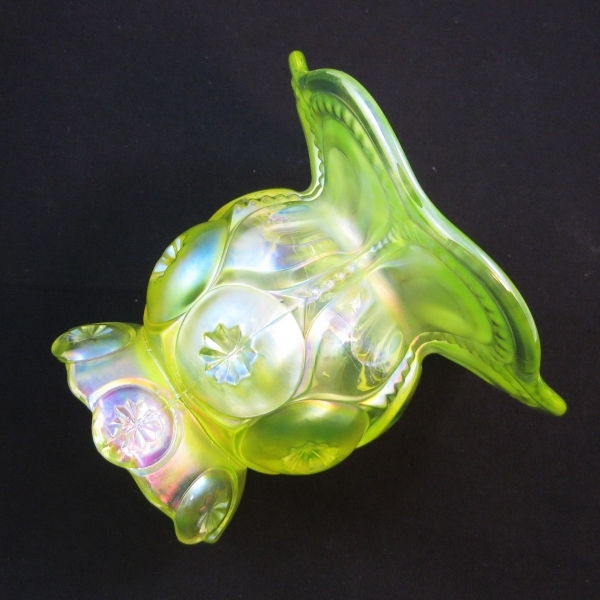 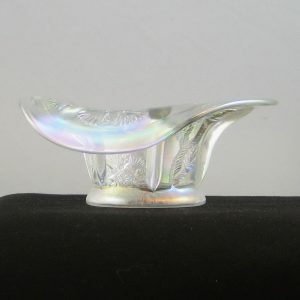 This was an LE Smith #4260 Spooner, being Vaseline, it could be a Wisher item (Wisher owns the molds)…that was stuck up and iridized by Crider. 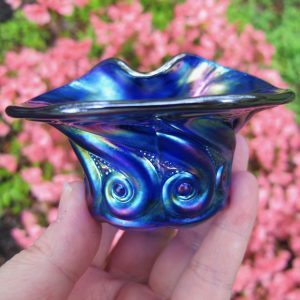 3 1/8 inch Dome base.